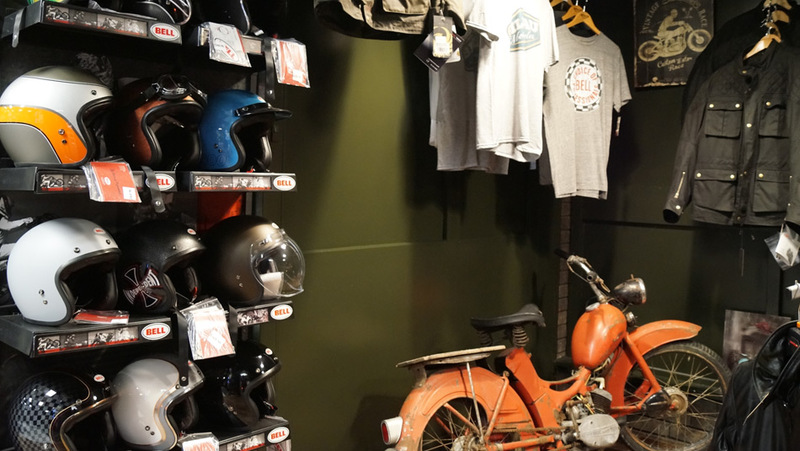 Situated within Billau Motorcycles, Nicole runs the family Clothing Boutique. 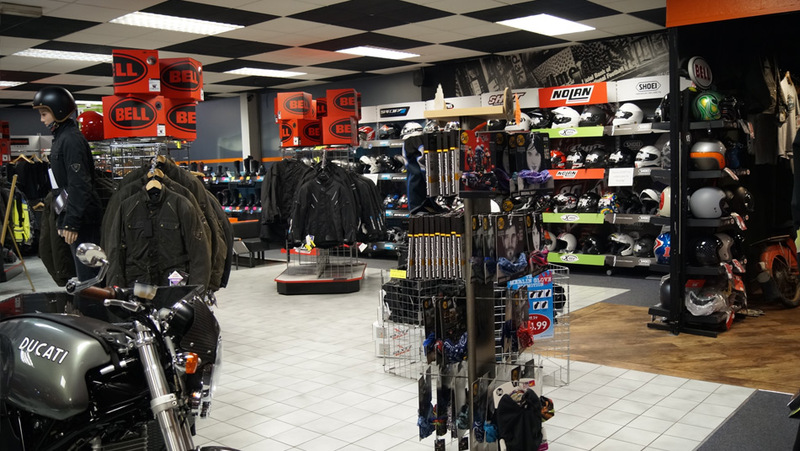 A large showroom holds over 500 helmets in stock along with mens & ladies clothing, some childrens & locks, oils, luggage, etc. 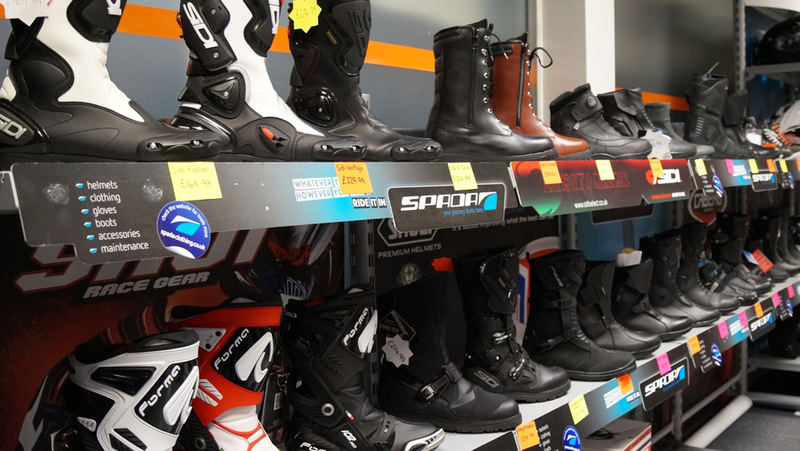 Products sold include – Spidi, Sidi, Shoei, Spada, Caberg, Nolan, X-Lite, Bell, LS2, Forma, Merlin, Bering, Draggin, Magna, Abus, WD-40 plus lots lots more. We also do GIFT VOUCHERS! Get in touch for details! 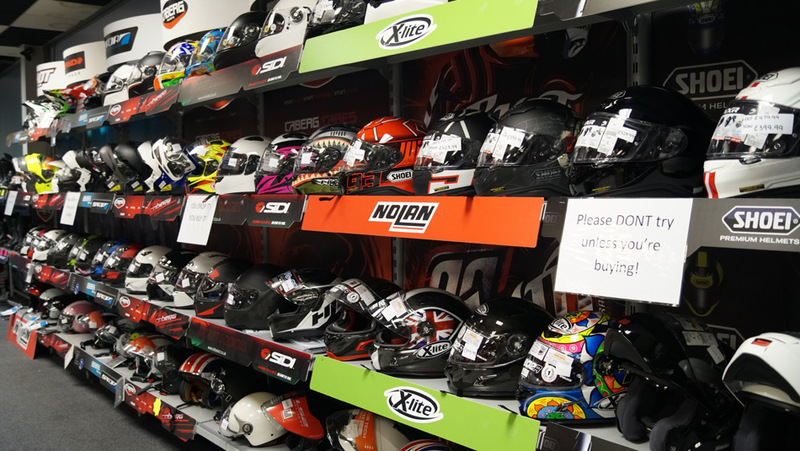 As well as always stocking over 100 used motorbikes, our showroom also stocks over 500 helmets, a wide range of clothing and many motorcycle essentials. We are easily accessible from Darlington, Country Durham, Teeside and Tees Valley. Just wanted to say a big thanks to Simon and Ian for the work they did on my bike, the knowledge and attention to detail has been excellent, couldn’t have asked for more! Living 150 miles away in Peterborough didn’t prove to be a problem. BACS transfer & delivery arranged, I’m still smiling since my bike was delivered. Thanks! A big thanks to all the team. From the first phone call to my bike being delivered I was made to feel at ease. Will be glad to do business again. My 3rd bike in 2 years. 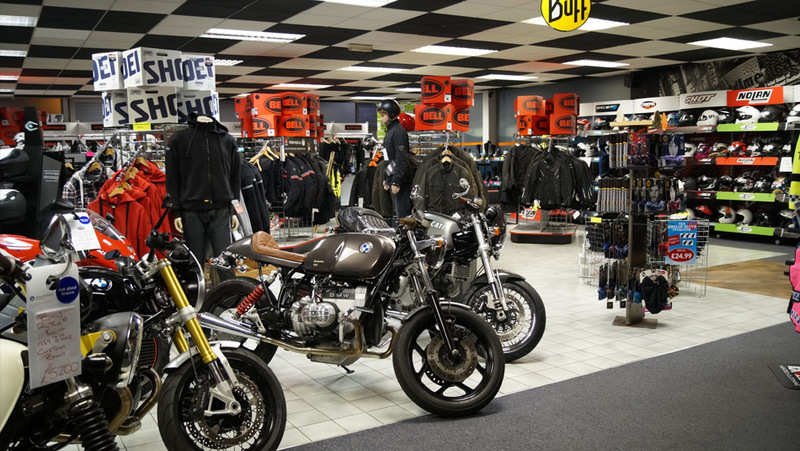 It’s great to have a reliable Motorcycle Dealer local to us again. 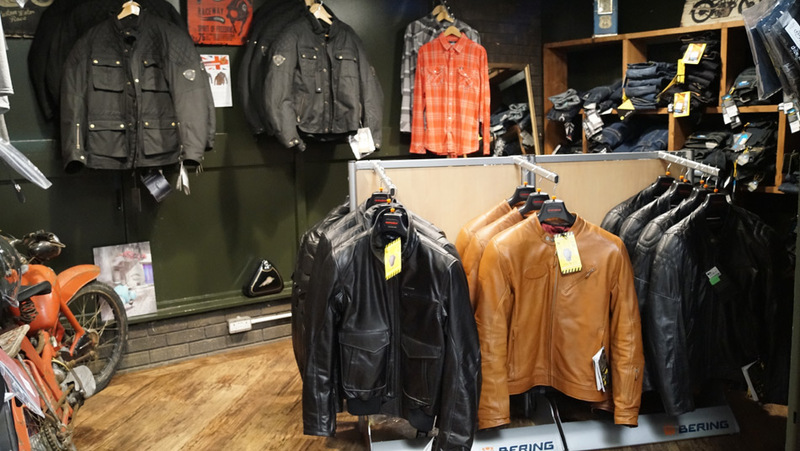 Bike & Clothing all great plus the Servicing. Keep up the good work!